2.5" dia X 4.1" deep (61mm to 104mm), mounts in 2-1/8" (55mm) hole. One LPG / Gasoline / Petrol sensor standard. Five meters (16 feet) of cable provided. 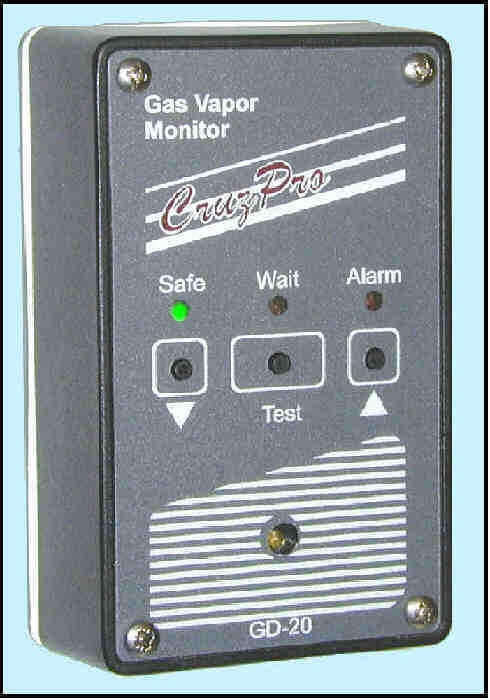 The GD55 Gas Vapor Monitor detects gas vapors at 25% of the concentration required for an explosion (LEL or Lower Explosive Limit). 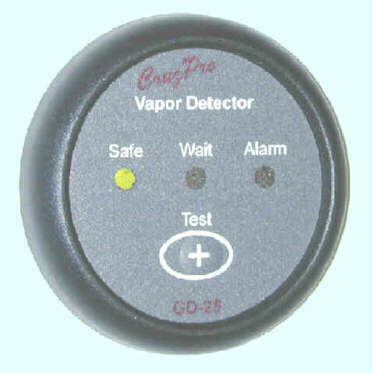 The alarm will continue to sound as long as the sensor detects a dangerous concentration of gas vapor. 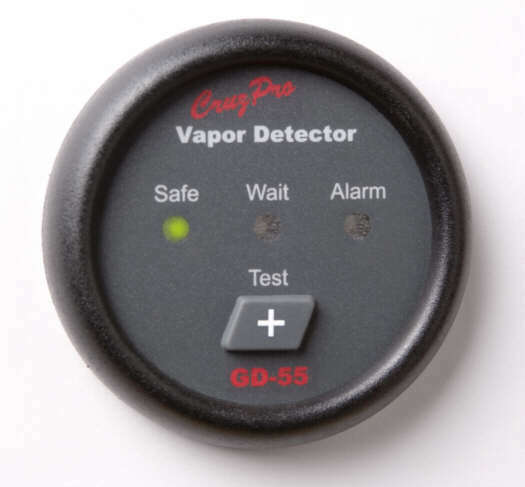 The GD55 uses new technology to lower the power requirements for the sensor and draws only 0.12 amps at 12VDC. A built-in self test checks the electronics,cables and sensor and reports any problems. 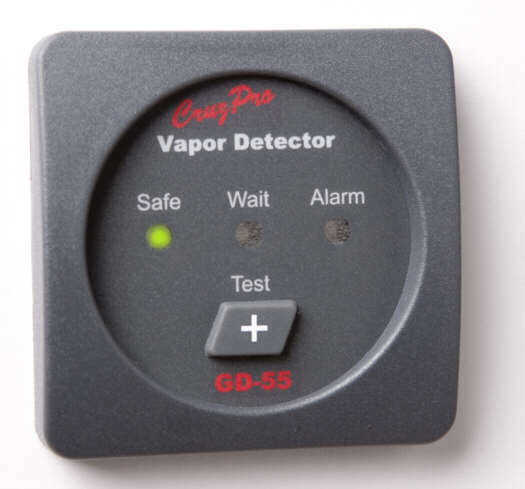 Each GD-55 is assembled and then 100% tested with a calibrated gas to insure accuracy of the alarm trip point. Power saver mode: Program to wake up every 5 minutes for a sniff, cuts average current to .020 amps. Will automatically deactivate LPG solenoids drawing up to 3 amps. GD20 may be used to turn solenoid on/off manually as well. Auto shutoff after one hour can also be programmed. One LPG / Petrol / Gasoline sensor standard. Second sensor optional. Three meters (ten feet) of cable provided with each sensor. 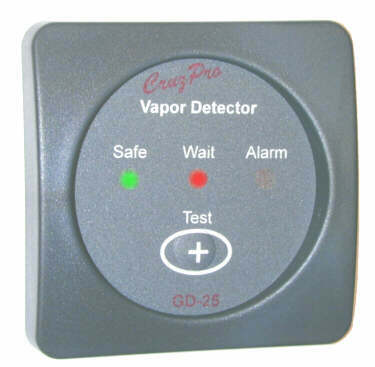 Each GD-20 is assembled and then 100% tested with a calibrated gas to insure accuracy of the alarm trip point.